John Bolton - former US ambassador to the United Nations - has injected the possibility of Jordan coming back into the West Bank and Egypt returning to Gaza as occurred between 1948-1967. He has posited this solution to end the plight of the Arab populations in the West Bank and Gaza following the disastrous occupation of Gaza by Hamas for the last eighteen months and the virtual end of the negotiations between Israel and the Palestinian Authority that have gone nowhere for the last 15 years. International pressure can make this solution a real possibility. Such a solution represents the best - and last - chance of peacefully settling Jewish and Arab claims to the former territory of Palestine. Arab League refusal to consider this proposal must be forcefully resisted at all levels by the international community. 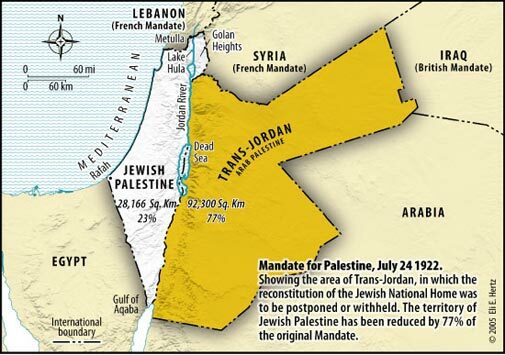 Arab rejections of proposals by the Peel Commission in 1937 and the United Nations in 1947, failing to create an independent State in the West Bank and Gaza between 1948-1967,rejecting any dialogue with Israel between 1967-1993, continuing to make demands since 1993 inconsistent with Security Council Resolution 242 and the Roadmap proposed by President Bush have led to the present crisis enveloping Gaza. Surely - after 70 years of Arab rejectionism and total intransigence - it is time for the international community to call it a day. If the Arabs want to press on regardless then the rest of the world should make it quite clear that existing diplomatic support and financial assistance to the Palestinian Arabs will be ended.